Blast fat and calories with high-intensity elliptical workouts. If you’re tired of burning your rubber soles on the treadmill, it might be time for a change of pace. Elliptical cardio workouts can strengthen your muscles and burn fat for weight loss, but they do so without the impact on your joints. This user-friendly, low-impact piece of equipment can be an excellent alternative to the treadmill. When choosing an elliptical trainer for maximum weight loss, choose one that offers dual action motions and has upper arm bars for a whole-body workout. In order to lose weight, you have to burn more calories than you take in. Creating a caloric deficit of 3,500 calories per week will burn 1 pound of pesky fat off your body. While eating a healthy, nutritious diet is part of creating this deficit, you can further your calorie burn with intense cardio workouts. 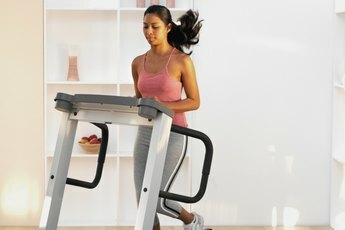 A150-pound person could burn about 386 calories in a half hour on the elliptical trainer, according to HealthStatus.com. 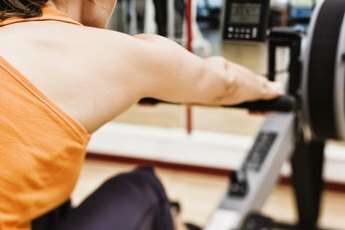 The number of calories you actually burn during an elliptical workout depends on the intensity of the workout, your body composition, your gender and your weight. Interval training is excellent for cardio workouts on the elliptical trainer and produces more weight loss than a steady-state session. To perform intervals on the elliptical, your routine will consist of short bursts of intense activity followed by a longer period of active recovery. To keep your body guessing and adapting during your elliptical workout, change the speed and resistance levels throughout your workout. Start with a five-minute warm-up at a moderately low intensity. Increase the resistance to 8 on a scale of 1 to 10 for 20 to 30 seconds following the warm-up. Recover for two minutes at a moderately low intensity. Repeat this interval pattern for 20 to 30 minutes. To bust through boredom, shake things up a bit with a reverse cardio routine on the elliptical. Warm up at a moderately low pace for five minutes. Start your routine with a big push -- go for an intensity of 8.5. Continue at this intensity for three minutes. Slow down every three minutes until you hit an easy pace. For example, start at an intensity of 8.5 and reduce the intensity level by one notch every three minutes until you reach an easy intensity level of 5. Pyramid workouts increase the intensity in steps. 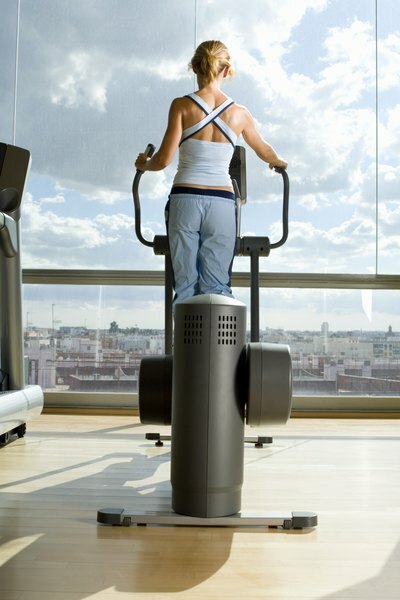 Take the first five minutes of the elliptical workout to warm up at a low intensity level. Then increase the intensity level by one or two notches. Continue increasing the levels every minute by one or two steps until you can no longer handle it. Reverse the order and decrease the intensity level by one or two levels every minute until you are back to your warm-up intensity level. This makes a complete workout including a warm-up period, a maximum-effort period and a cool-down period.